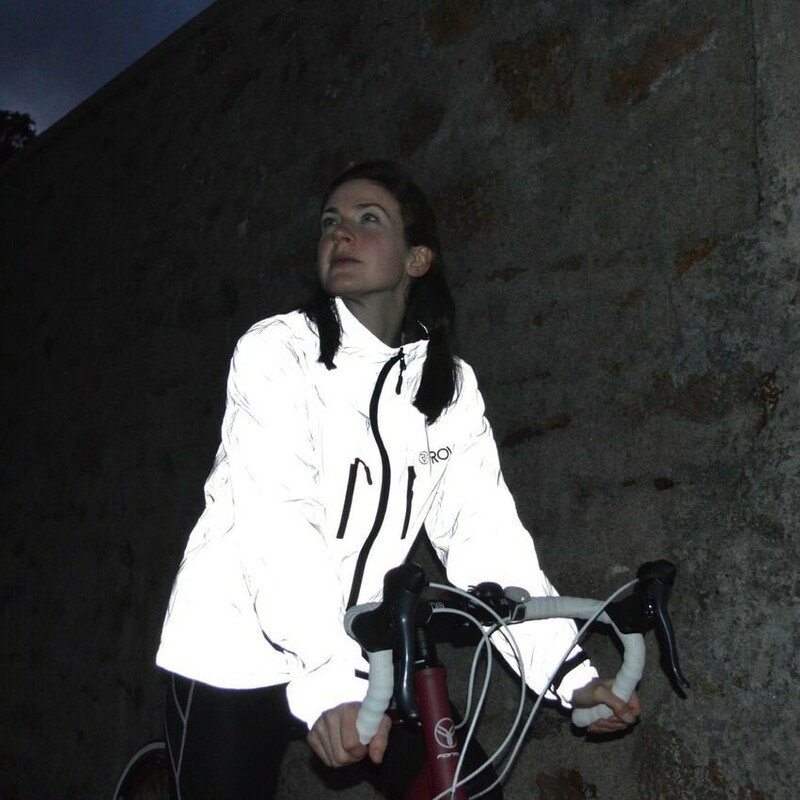 The Times: "Offers incredible reflectivity"
The Daily Telegraph: "Never felt more visible." The Award-Winning REFLECT360 Cycling Jacket is the world's first to be designed using a 100% reflective outer-shell and was featured at the highly prestigious Cycle Revolution Exhibition at the London Design Museum. 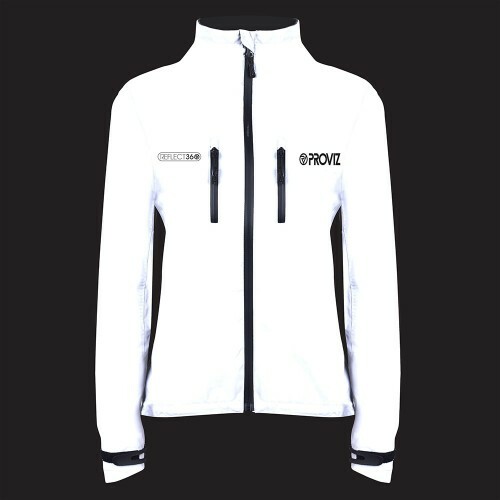 The globally best-selling jacket's high quality material is designed to look and feel great while keeping the weather out. The reflective capability of the material helps other road users to identify a cyclist’s position on the road at night giving them extra time to react and manoeuvre appropriately. 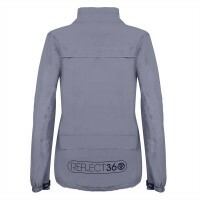 The REFLECT360 jacket incorporates multiple vents - front, shoulder/back and under arm. This allows the user to regulate body temperature. 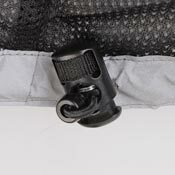 By opening the front zipper vents a 'through-flow' is achieved. The air enters the front vents, cools the body and exits via the shoulder/back vents. 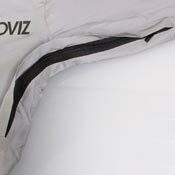 During the winter, the vents can be closed and are designed to also be used as extra pockets if required. 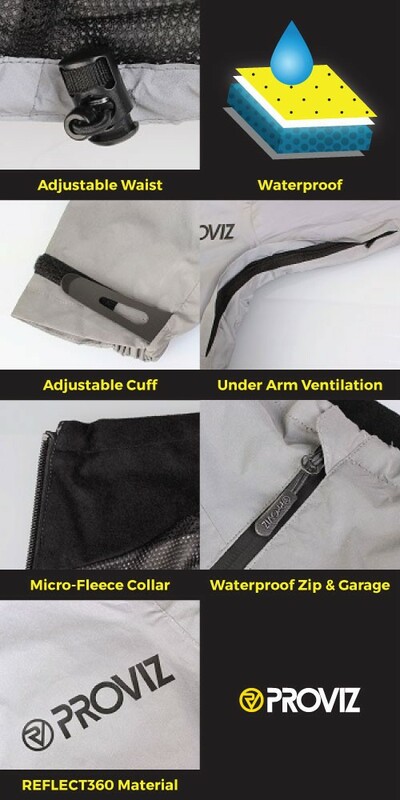 These features enable the jacket to be used all year round. The jacket also has an inside chest pocket and large lower back pocket to store any extra layers or a map. 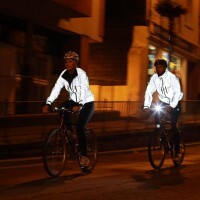 I love this jacket, it makes me feel safe and I'm sure I've had less close passes whilst wearing it. 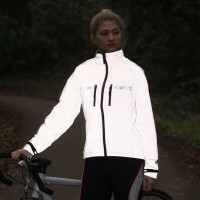 A girl cycling behind me asked me where she could get one as I had been shining so brightly! However, I am disappointed that the back isn't a bit lower to protect my my bum from the rain - a flap would be good. 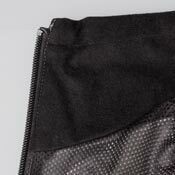 Also, some tags on the rear zip and the vents zips would be great as they are difficult to use with gloves on. 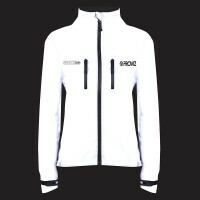 I am very happy about my new jacket, absolutely love it! It is very bright so it is useful for my commute to work. 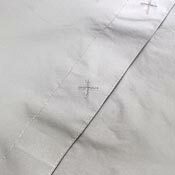 Many pockets, great cut, high collar, highly recommend! The reflect360 jacket is such a find. I have been using it throughout the winter in Sydney and I have been really pleased. 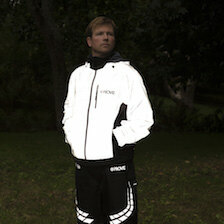 The reflectiveness of this jacket is why I purchased it and I am so happy with how it works. Take a selfie and you'll see what you look like in a car's lights. So bright! I genuinely have lost count how many people commented on it. Other features are all good too. Very comfortable fit. All in all, what a product. Next winter I'm in for a backpack. The jacket is fantastic! 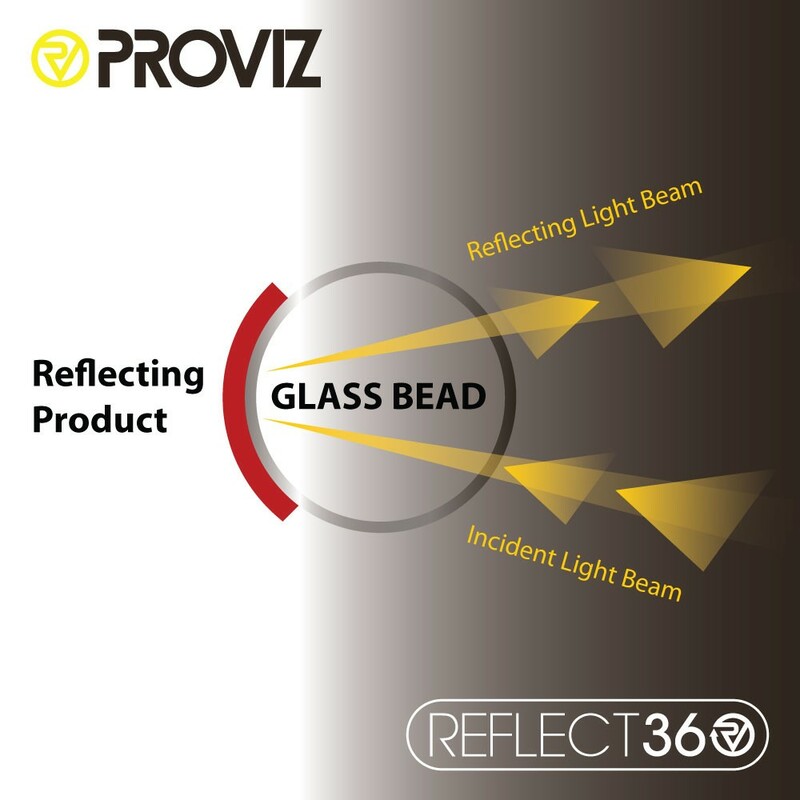 It actually is reflective all the way around. 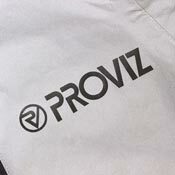 Its wind proof with a seal over the zippers. Arm pit zips as well which I love. Do measure your arms as per the indications. The sizes are on target. I ordered a larger size in order to be able to layer in cold temps. 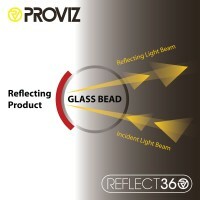 I highly recommend this product! Came to the US in in 3 weeks which is reasonable. What a unique product and it fits well, comfortable and warm, best cycling jacket i have ever had. Neat Jacket. 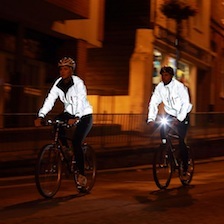 Good quality, waterproof and incredibly reflective at night - never seen anything like it in the flesh. What more is needed. Impressively fast delivery to our shores also. 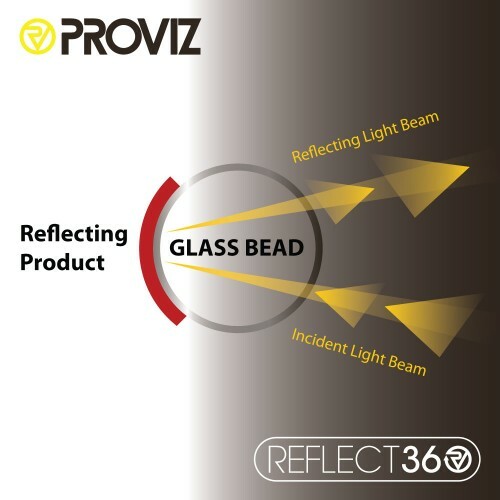 Utilising millions of tiny, highly reflective glass beads, the innovative material used for the REFLECT360 Cycling Jacket is exceptionally waterproof (5,000mm) and has taped inner seams to prevent water getting in at sewing lines. 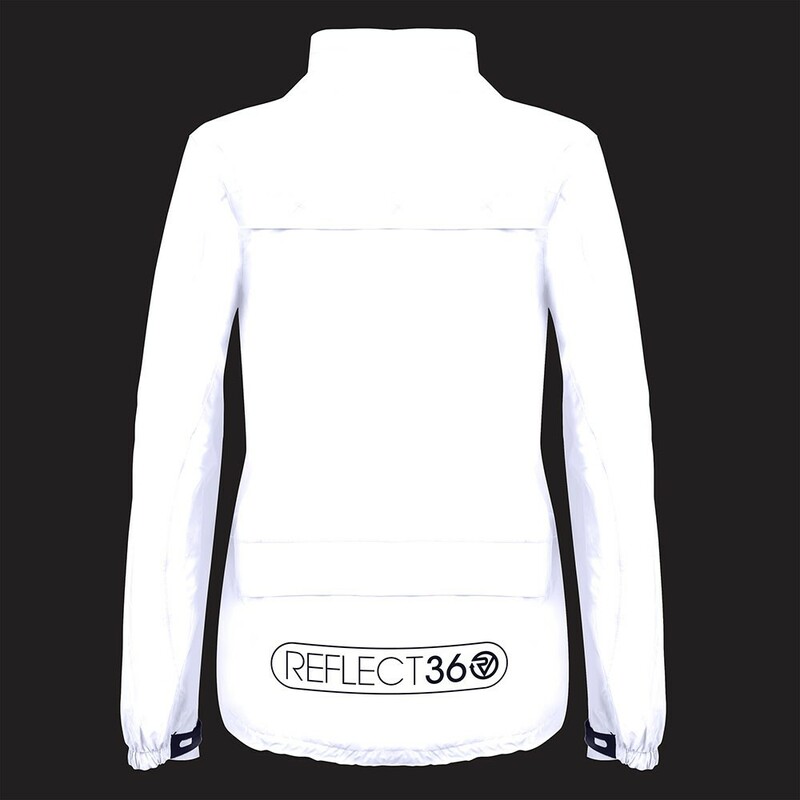 The REFLECT360 Cycling Jacket has a soft cotton mesh lining which acts as a climate control mechanism. 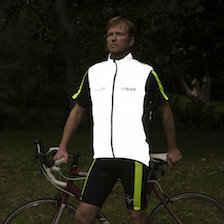 The mesh increases airflow by maintaining separation between your skin/shirt and the outer layer of the jacket. 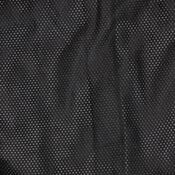 This allows your body to maintain a more consistent comfort level, without the need to constantly add or remove layers. The REFLECT360 Cycling Jacket incorporates two outer chest pockets, one inner chest pocket and one large back pocket, so you will not struggle to find somewhere to put the items you need when you're out cycling. 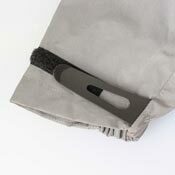 The outer chest pockets also double as additional vents to help cool you down on warm days. 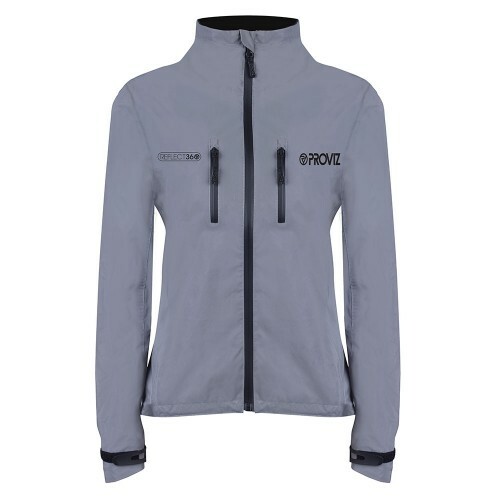 This innovative jacket features hard wearing cuffs with hook and loop attachments. 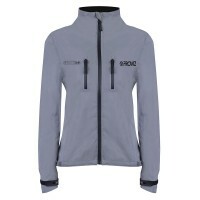 These can be easily adjusted by the wearer to suit their size and specific requirements. 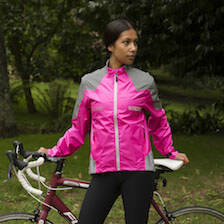 Keep them loose during the spring/summer to facilitate airflow, or tighten them up to keep out cold, wintry weather. 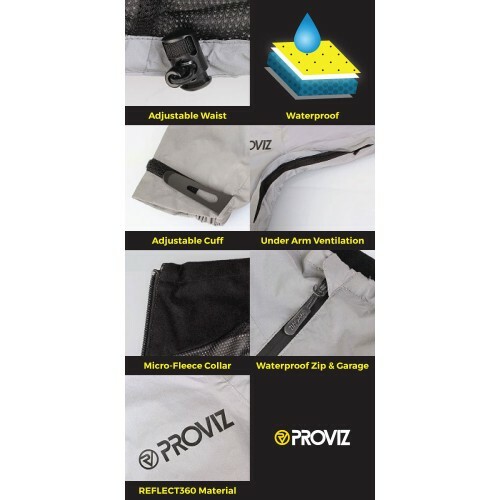 As with all Proviz kit, our focus is to keep you safe on the road, but we never feel that this should come at the expense of performance or comfort. 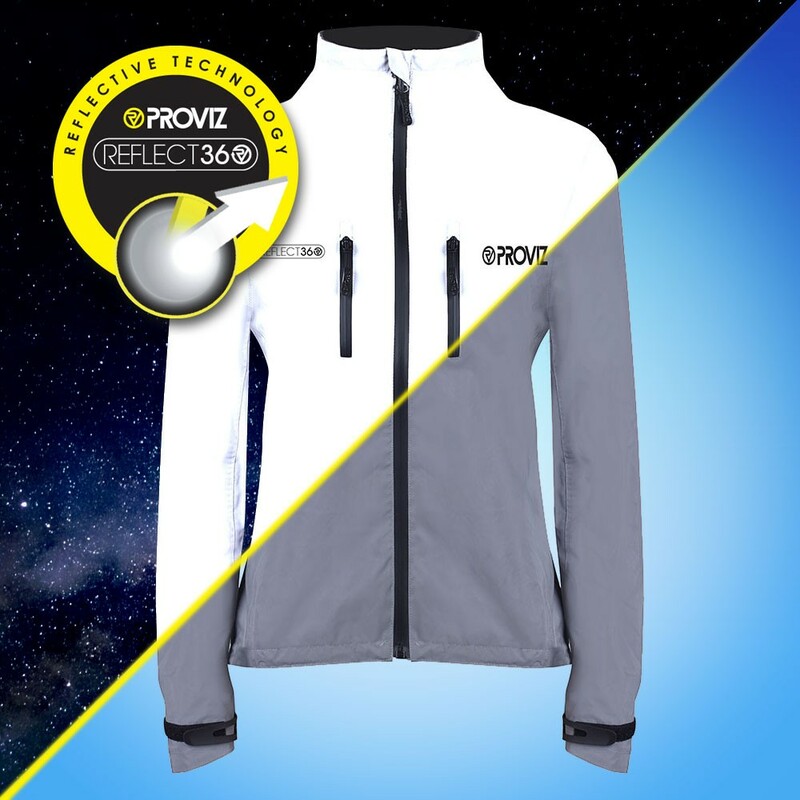 Use the elastic pull cord and plastic fasterner to fit the REFLECT360 Cycling Jacket to your body shape. Perfect for warmer days and occasions where you are sure to work up a sweat, the REFLECT360 Outdoor Jacket features 30cm zips under each arm which can be opened to increase air flow and cool you down. 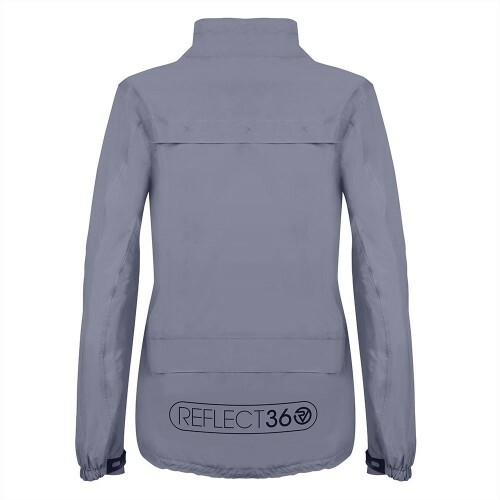 When you get hot across the shoulders/upper back, the ventilation flap in the back of our REFLECT360 Cycling Jacket helps to combat any discomfort. It lets hot air out but won't let any inclement weather in. 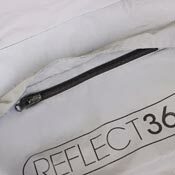 Not just a neater way to fasten your REFLECT360 Cycling Jacket, the simple yet effective zip-garage at the top of the full length storm zip ensures that you do not experience any nasty neck chafing when your jacket is zipped up on colder days. 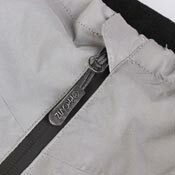 All the zips on the jacket are waterproof too and come with handy zip pulls, so not a drop of rain will get in. 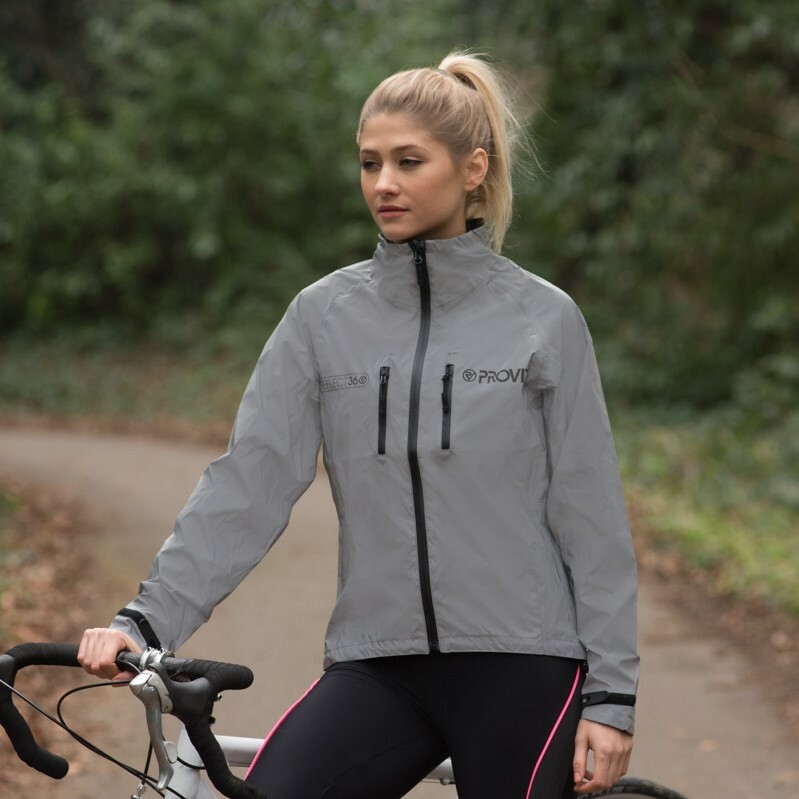 Staying safe in the great outdoors on dull days and long, dark winter evenings should not have to mean a compromise on comfort. 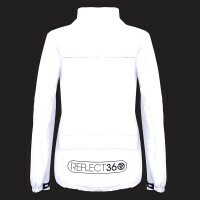 Our REFLECT360 Cycling Jacket features a micro-fleece lined collar for extra warmth and comfort during colder months.